Flameproof wadding protects your recovery device from the heat of your rocket motor's ejection charge. 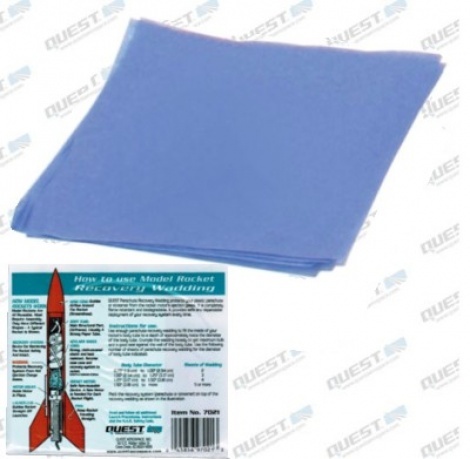 Package contains over 100 sheets of flameproof wadding , enough for over approximately 30 flights of an average size model rocket. Biodegradable, reliable and easy to use.